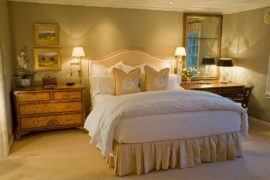 There is no room that could not use a hint of metallic brilliance to enhance its overall appeal. 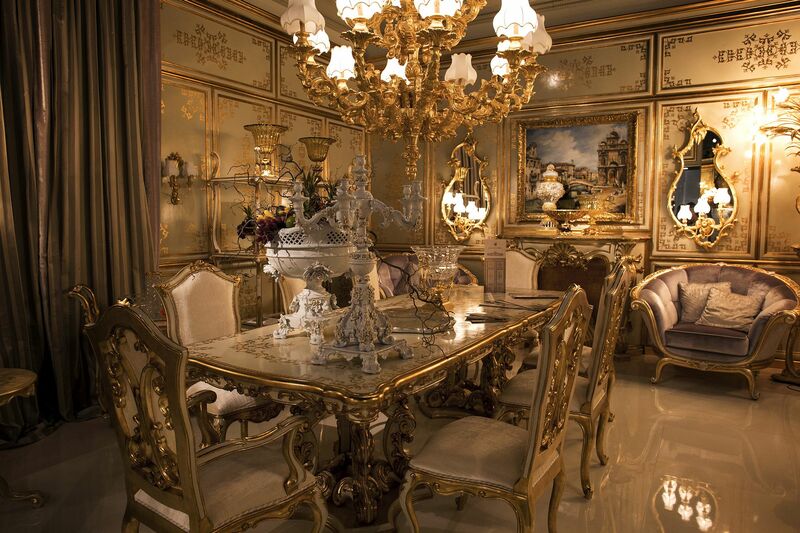 That glitter and grandeur is only enhanced when you turn to the delight that gold! 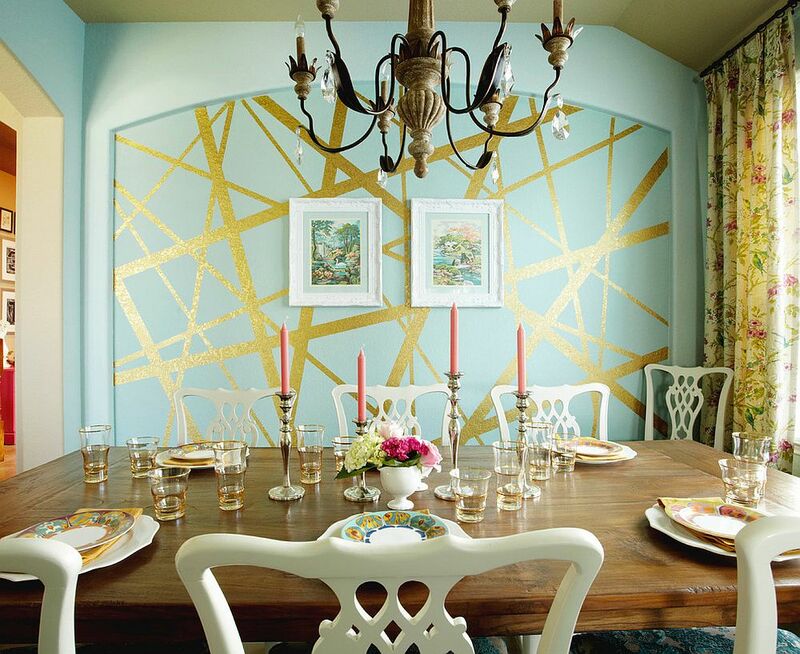 A dash of gold instantly brings brightness to the room and with metallics currently part of top decorating trends, now is the time to try out a bit of golden glitz. 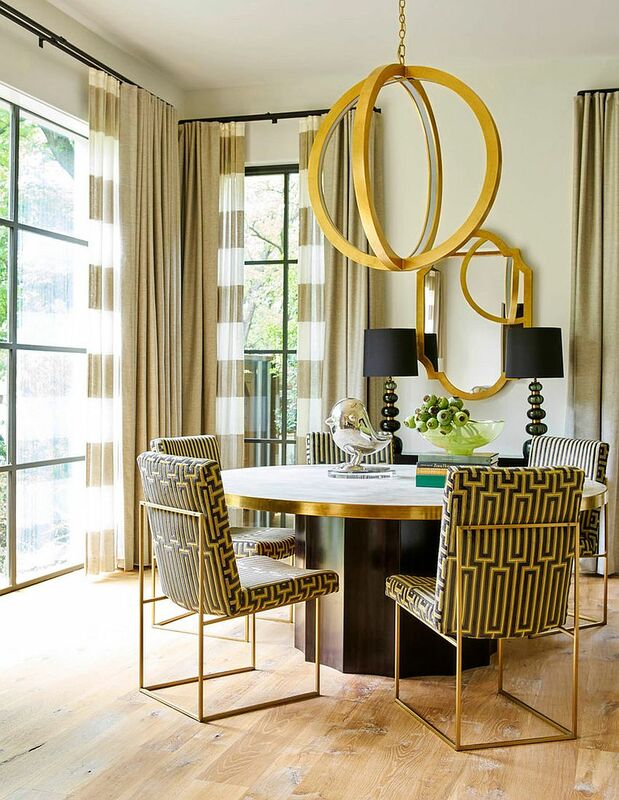 Having already shared with our readers inspirations that showcase the use of gold in different rooms of the house, today we turn our attention to dining rooms that tap into the beauty of the eternally popular metallic yellow glint. Red, Gold and Stunning Beauty! 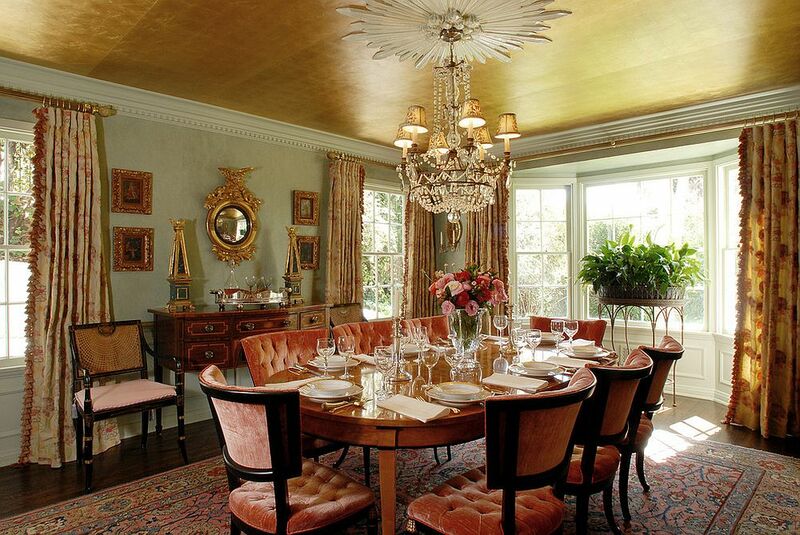 It is amazing how two seemingly different hues can come together to create a lovely and exciting dining room. 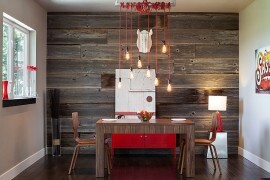 The combination of red and gold might sound a touch too outlandish for some. 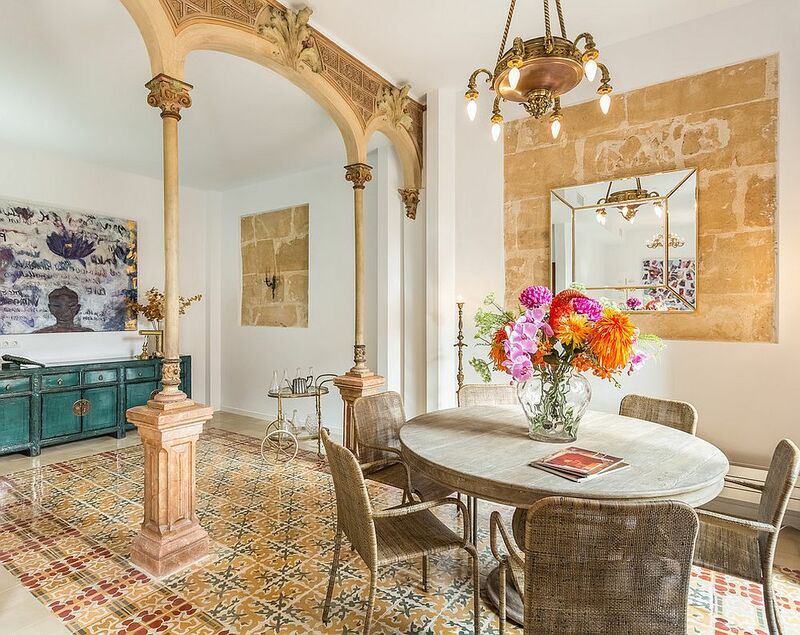 But these exquisite spaces are full of regal and timeless charm with styles that range from Victorian and traditional to transitional and modern. 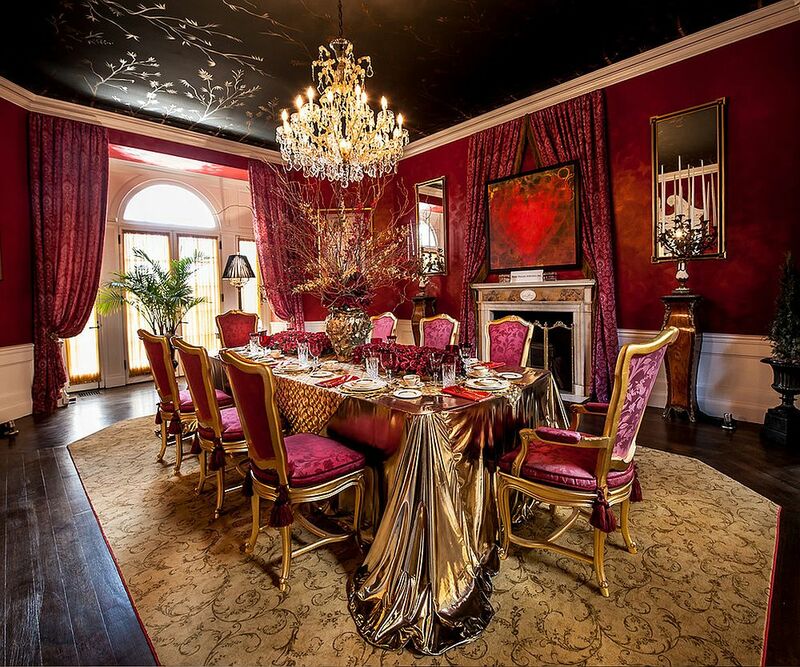 Red brings brightness to the room while gold fills it with unrivalled opulence. 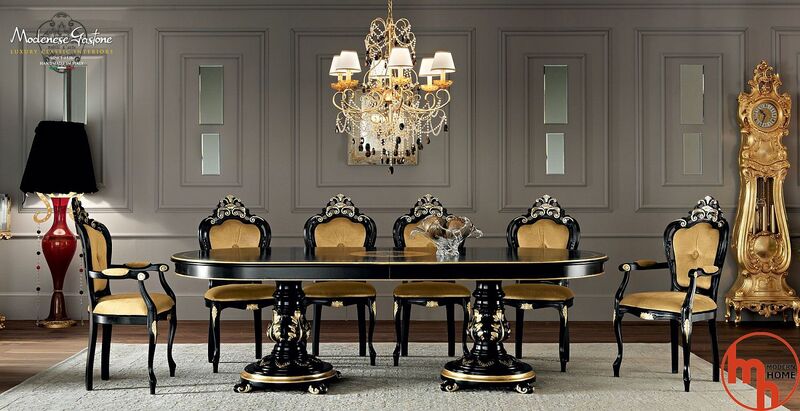 It is a duo can create dining space fit for royalty and replicating this look in your formal dining room definitely gives you the same culinary experience! 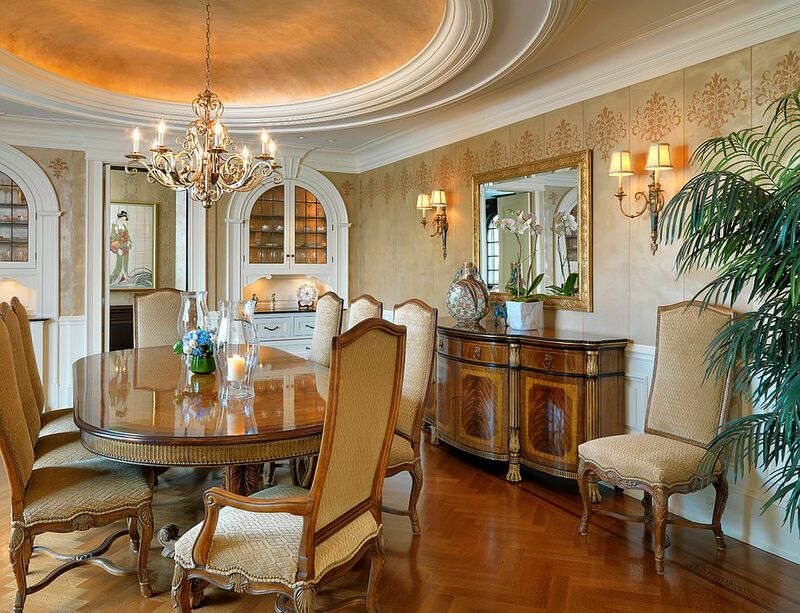 There are plenty of times when we simply ignore the ceiling and accept it in just plain white. 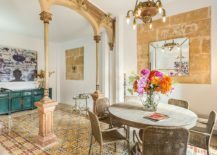 But just like those walls around you, ceilings also offer an opportunity to ‘decorate up’ and give the room a visual upgrade. 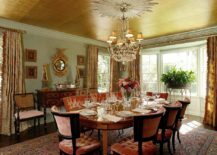 In the dedicated, formal dining room a ceiling gold looks like a magical masterpiece that elevates it to a whole new level. 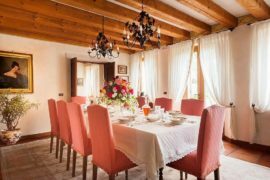 In the open plan living it can create a visual boundary between the dining area and the living room while adding to its style quotient. 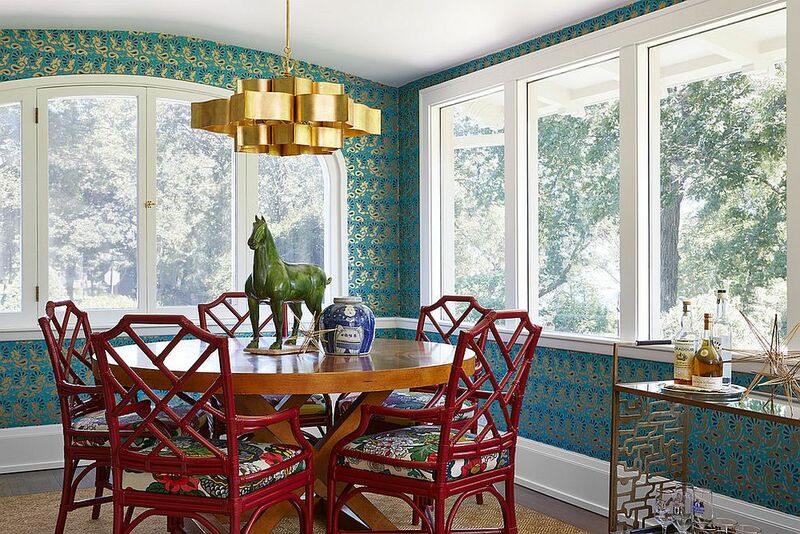 If a ceiling in gold feels like a touch too much for your home, then accent walls with golden motifs is the next best option. 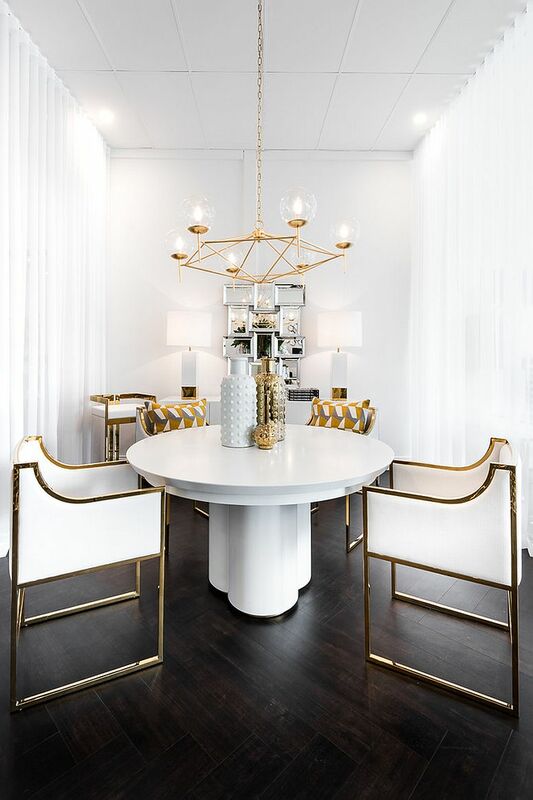 Gold accents in the dining room provide you with the easiest way to try out the warm metallic hue before committing to it in a more extensive fashion. 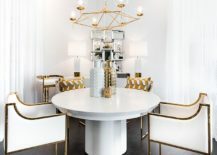 There are plenty of opportunities here like the lighting fixture above the dining table, dining table chairs and the table itself which allow you to incorporate gold in a classy and organic manner. 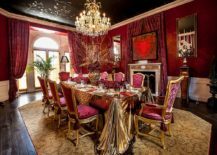 For those who wish to start out even smaller a table runner with golden motif, dinnerware dipped in gold or even a couple of impressive vases should do the trick. 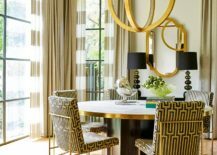 Yes, golden accents do look great in the dining room whether they come in the form of the lighting fixture or the highlight feature in the backdrop. But contemporary dining table chairs in gold give the room an entirely different and far more sophisticated look without ever trying too hard. 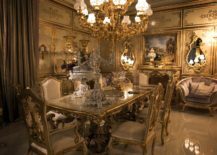 These scintillating and polished chairs instantly demand your attention and end up becoming the absolute showstoppers of the dining area. 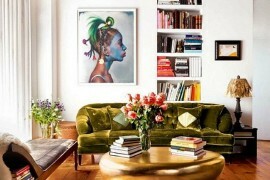 Combine them with a dash of black and you are good to go!